John F. Kennedy's only diary will be auctioned off next month and reveals the future president-to-be's attitude towards the Nazi dictator Adolf Hitler. Deidre Henderson, the longtime owner of the diary and who was also Kennedy's research assistant during his years in the Senate, agreed to auction off the diary in honour of Kennedy's 100th birthday on May 29th. In the mid-90s Henderson published a book based on JFK's diary, which the 35th president gave to her so she could understand his national security and foreign policy views. “I didn’t want to part with it but now I think it needs a home somewhere that it will be better known to historians and to everyone. It’s part of his legacy," she said. The diary, which will be up for bid on April 26th, is estimated to bring in a modest sum of up to $200,000. 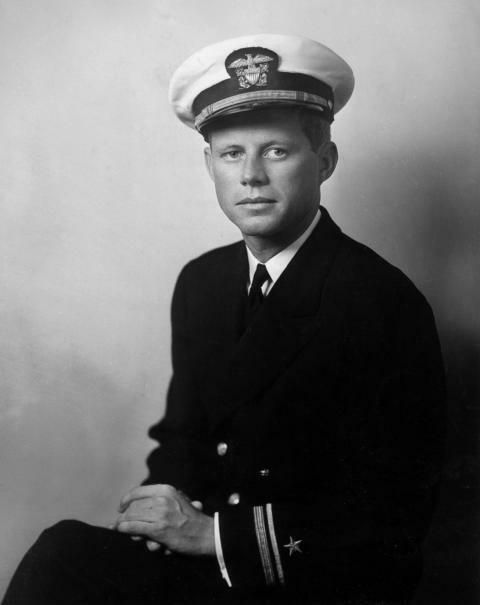 In the summer of 1945, a 28-year-old John F. Kennedy was travelling through Europe as a Hearst war correspondent. His last stop was Germany, where he visited Adolf Hitler's bomb-ravaged residence in the Bavarian Alps. Clearly impacted by that visit, Kennedy recorded his thoughts in his diary about the Nazi dictator. “You can easily understand how that within a few years Hitler will emerge from the hatred that surrounds him now as one of the most significant figures who ever lived,” Kennedy wrote. “[Hitler] had boundless ambition for his country which rendered him a menace to the peace of the world, but he had a mystery about him in the way he lived and in the manner of his death that will live and grow after him. He had in him the stuff of which legends are made,” he added. Although Kennedy's thoughts may seemingly express awe and admiration for Hitler, Bobby Livingston, Executive VP of RR Auction, which will sell the 61-page diary, insists that's not the case at all. “There’s no glorification, and I wouldn’t take this out of context. I think Kennedy was a historian, and he’s writing his understanding of Hitler’s place in history,” Livingston said. » Comedy about Hitler may be nominated for "Oscar"